News Release #08 – Diamond Headog & Headolphin working in Fukuoka, Japan! 20 Mar News Release #08 – Diamond Headog & Headolphin working in Fukuoka, Japan! On March 16th, a Girls Only event, “City-living Night 2015” (host: West Japan Living Newspaper company), was held at ANA Crown Plaza Hotel Fukuoka, Japan. 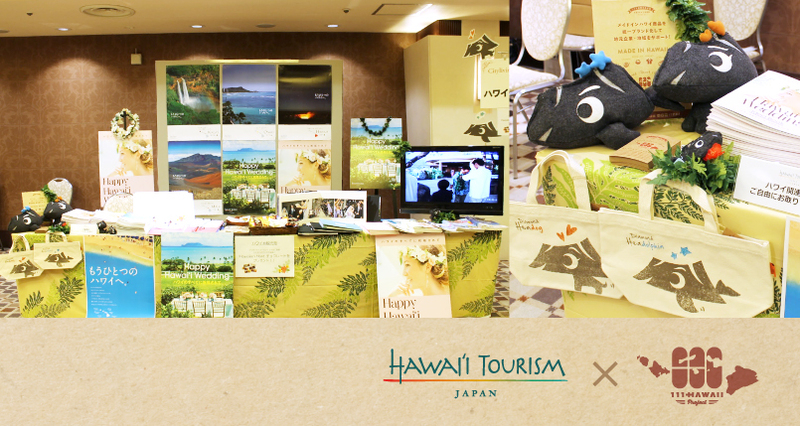 To widely publicize the attractions of Hawaii, Hawaii Tourism Japan displayed a booth and promoted the beauty of our home. Especially, the Hawaii Tourism Japan booth where they introduced Hawaii Wedding always formed a huge crowd, that over 400 ladies will visit the booth within 3 hours! Diamond Headog & Headolphin also came down to support Hawaii Tourism Japan booth and helped PR Hawaii.